Going through this thread lately. Divorce of Lady X is the first title I see which I can claim my own personal fandom for. Its a marvelous little exercise in British screwball humor (perhaps there's a better term I should use here?) but its got all the elements and the whole thing just bubbles sprightly along. When I think of young Larry Olivier this is the film I think of first. Handsome devil. And as for Ralph Richardson well--he is my favorite actor of Britian's 'old school' film and theater stars. There's just something exquisite about his talent which puts him--as far as I'm concerned--even out farther in front than Guinness and Gielgud and I am a strong fan of both those men. Nice. The one who stands out for me is the always underrated Binnie Barnes. 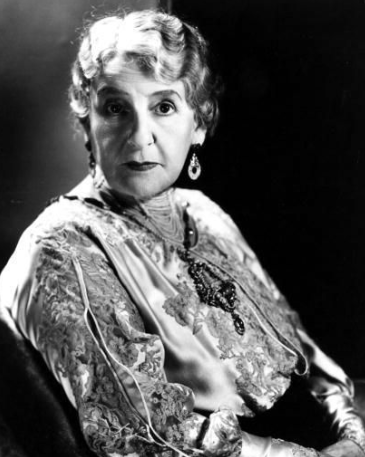 She started as a lead but quickly ended up doing supporting roles in a long line of "A" films on both sides of the Atlantic. This film really has the perfect cast and the direction (American Tim Whelan working in London) is superb. I haven't gone through my earlier reviews in awhile, so they might be a bit "amateurish" compared to what came later. Its admirable presentation of data, and elocution in prose as I've remarked upon since I came across 'em. Consistent so far (although I'm early on in the thread). One can not help but be impressed by command of background detail like this, for these productions now so distant-in-time. I'm a cruel man, but fair! Always glad to salute good writing! re: 'Trade Winds'. While William Holden is my all-time favorite American actor, (the talent I personally enjoy seeing the most) Frederic March is the American actor who's acting skills I respect the most. I take March over Fonda, over Tracy, Stewart, Muni, etc. He's even better than Brian Donlevy. from page 2 of this thread: 'Broken Lance'. Fine summary. Its a western I really wanted to like. All of the elements are there and just as you describe them too. I agree that all the ingredients are discoverable just as you point out. And furthermore I'm a sincere fan of both Wagner and Widmark. I'd watch Katy Jurado in anything; and even Earl Holliman is usually interesting. Still, for some reason, the flick struck me as turgid. Never had the power to draw me in. I couldn't relate to the family conflict; the themes seems not that pressing; Wagner's character seemed a little too earnest; the brothers too predictable. It almost had to end with 'three beatdowns' (Wagner vs each sibling)...and this is foreseeable from the first ten minutes. p.s. not to be confused with a Jimmy Stewart western similarly-named! Maybe in BROKEN LANCE it's not so much that a showdown will inevitably happen, it's how it will happen. This film is not easy to describe. I guess you can call it the antithesis of a romance drama. 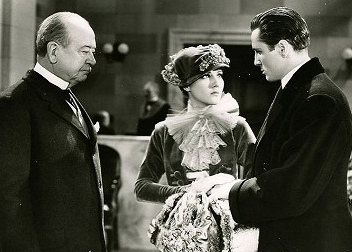 A woman, played by May Robson, gets burned by the man she loves (Lewis Stone) so she decides to focus on taking care of herself and her young son. Along the way she scrimps and saves, building up a tiny fortune. But her financial worth, the only thing she's managed to make of her life, becomes her obsession. It alienates her son when he grows into a young man. Complications occur when he turns away from her and marries a woman (Jean Parker) who is the daughter of his mother's archenemy. To say this MGM film is loaded with tension and melodrama at every turn is an understatement. What makes it all the more interesting is it's based on the life of a frugal lady financier of the late 1800s and early 1900s named Hetty Green. We may not wish to believe a woman like this could ever exist, but she apparently did. The scenes where Robson plays the "witch of Wall Street" at her hardest and most ruthless are cinematic gold. Robson understands what drives a woman to be so uniquely misanthropic and the moments where she gets to rail at society and her ex-lover are quite good. Of course, she eventually has to soften and start reforming. 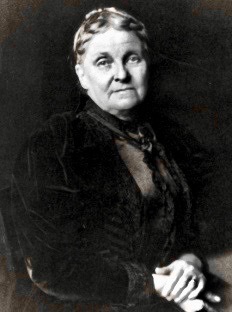 That comes when she gets pneumonia, which forces her to reconcile with her son and daughter-in-law. Most of it works as a compelling motion picture, thanks in large part to the performances. However, the dialogue gets a bit preachy as others try to instill their own sense of decency on Robson's character to make her rethink her approach to life. But maybe audiences needed to see a female Scrooge. To see that a woman might have all the money in the world, but if she doesn't have love, then she's not really rich at all. 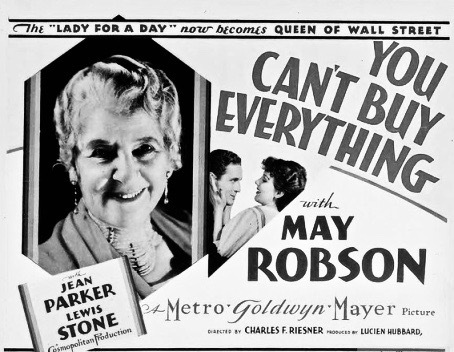 There should be a May Robson Day on TCM. Yes, totally agree. A Summer Under the Stars day in August! She was in a lot of great classic films. re: 'Run for Cover' from page 3. It figures that would be directed by Nicholas Ray. Moral ambiguity was his thing. From what I gathered online, Charles Dickens visited the Cornish tin mines in early 1843, a few months before writing it, and saw the extreme poverty of child workers a.k.a. "Tiny Tims". (Note "tin", "tiny" and "tim" being close in spelling... coincidence?) He wrote a rather polarizing piece on the topic just before tackling Scrooge. 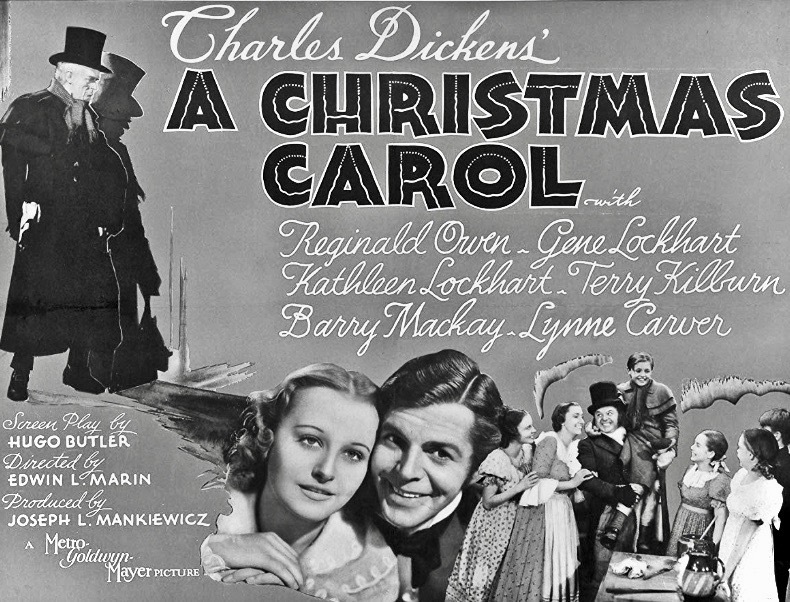 Although Christmas was taboo during certain periods in British history (like under Cromwell), it had been slowly evolving into the major corporate business of today by the 1840s (thanks partly to the Queen Victoria and Prince Albert promoting it in their own way), but Dickens was critical about how this holiday was exposing the "haves" and "have nots" of the early Industrial Revolution when more children were manning dangerous machines in factories than going to school, let alone enjoying toys under a tree. Intriguingly THE PURPLE ROSE OF CAIRO was set in the very year he was born with a recreated RKO film that never existed and RADIO DAYS covered his childhood years. The former was a fantasy, so there was more latitude allowed there. I think both of these and ZELIG, which parodied newsreels and PBS biopics, involved more careful planning than this one since they were made when he was younger and more detail conscious. He is getting older and foggier in his memory, y'know. I used to be a big pop music buff so I always noticed how often songs were played in movie time periods too early. The 1980s and early '90s period was especially sloppy in this regard. BORN ON THE 4TH OF JULY played 1971's "American Pie" in a scene set in 1968, DIRTY DANCING played Otis Redding's 1967 "Love Man" in 1963, 1927's "My Blue Heaven" is heard in a scene that Jessica Tandy's Ninny says occurred "just after the Great War" in FRIED GREEN TOMATOES, "The Blues in the Night" is just one year too early in the Merchant-Ivory team's otherwise fairly accurate-to-its-period MR. AND MRS. BRIDGE and, well, at least Rob Reiner saved the theme song for STAND BY ME for the end credits and did not use it in any of the 1959 scenes. To be fair, the farther back you go in time with the movies themselves, the worse it gets. I only discovered this after fussing over the eighties and nineties stuff and nitpicking it to death first. THE GLENN MILLER STORY really had his discography all out of wack, but were any of those musical biopics accurate about anything at all? Practically every film made from the 1950s through '70s that was set in the '20s, with the possible exception of SOME LIKE IT HOT, simply played ANYTHING from the '20s regardless of what year it was set; THOROUGHLY MODERN MILLIE and THE GREAT GATSBY are particularly guilty of this. Then there's FORREST GUMP, a film that should be judged by a whole different criteria. On the plus side, it captures the essence of the times and even gets most of the clothes right. The music is all over the map in this one: see Hanks and his fellow soldiers in 'Nam in 1965 and hear Jimi Hendrix's "All Along The Watchtower" three years too early. Also see the November 1969 candlelight march on Washington recreated before the Apollo moon landing and while Lyndon Johnson is mentioned by a character as still being in the White House. However Robert Zemeckis was very smooooooooth by having Tom Hanks' character telling a story... and we all know how stories are altered when told. He also purposely left out all dates shown on screen so we can never be sure. This is the same director who was playing around with time frames in the BACK TO THE FUTURE series, so it is not like we should be surprised. Forrest is simply a twin brother of Marty McFly who is a trifle confused with his time travels. 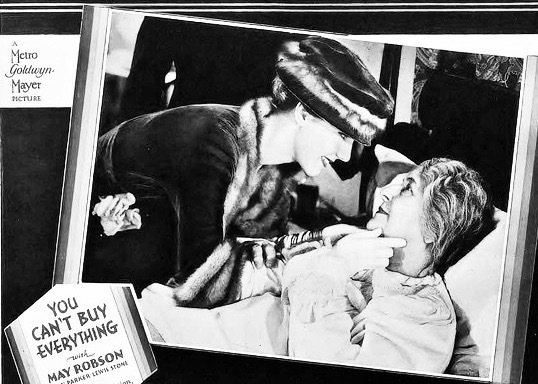 Most famous of the movie-within-a-movie goofs was John Huston's ANNIE's 1933 setting with clips from Garbo's CAMILLE three years too soon. However WORDS AND MUSIC (1948) made the exact same boo-boo in a scene set in the 1920s and that was the same studio that made CAMILLE. Perhaps the original plan was to feature the earlier Nazimova/Rudolph Valentino version but something went wrong in the script department. Beside being incredibly funny, Zelig did a fine a job in recreating the 1920s. Brilliant post. Thanks for going over some of this. Good thing I'd already written my review or I'd have been tempted to plagiarize your ideas! Maybe next year you can do an "essentials" on just four or more different cinematic versions of this story. I saw the Henry Winkler TV movie during a repeat broadcast in the 1980s and thought it was an interesting un-Fonzie role for him even though he has expanded his filmography range considerably since. I doubt you would be all that gaga by it since it was, after all, your average TV movie of that week. Then there is Albert Finney in the big bloated "what the Dickens have they done to Scrooge?" musical, which did better at the box office at the time than DARLING LILI. I was a trifle traumatized as a wee tot by Richard Williams' animated version with its sinister graphic designs, but it made history by being the first made-for-TV (but shown in theaters a year later) animated short subject to win an Academy Award. Twelve years later, the Academy got much more strict about such things so that the Disney company had to make sure Mickey's version with Scrooge McDuck was first shown to paying customers at the multi-plex (with a reissue of THE RESCUERS). Unfortunately that effort was in vain. It lost to a goofy claymation version of Ed Koch singing "New York, New York". Haven't seen the Muppets version with Michael Caine in its entirety but I hear it is one of their best feature films. Maybe next year you can do an "essentials" on just four or more different cinematic versions of this story. I saw the Henry Winkler TV movie during a repeat broadcast in the 1980s and thought it was interesting un-Fonzie role for him even though he has expanded his filmography range considerably since. I doubt you would be all that gaga by it since it was, after all, your average TV movie of that week. Then there is Albert Finney in the big bloated "what the Dickens have they done to Scrooge?" musical, which has at least did better at the box office at the time than other singing elephants of the era like DARLING LILI. I was a trifle traumatized as a wee tot by Richard Williams' animated version with its sinister graphic designs, but it made history by being the first made-for-TV animated short subject to win an Academy Award. Twelve years later, the Academy got much more strict about such things so that the Disney company had to make sure Mickey's version with Scrooge McDuck was first shown to paying customers at the multi-plex (with a reissue of THE RESCUERS). Unfortunately that effort was in vain. It lost to a goofy claymation version of Ed Koch singing "New York, New York". Interesting idea, about looking at different adaptations. There was also the 1989 film SCROOGED with Bill Murray, though I have never seen it. The story was modernized, with the character now a selfish TV exec. Oh I saw that one too. Forgot about it. It was moderately amusing, as many Murray comedies are. Also forgot to mention the Mister Magoo version that has a certain charm of its own. Rewatched the Richard Williams cartoon (with Chuck Jones serving as executive producer) again on YouTube. Most of the animated versions are too short, this one being under a half hour, but it still spooks me in my old age. Love how Marley is presented though. I'm in familiar territory now. Page #4 is all about Gregory Peck. 'Man in the Attic' (Palance) I've seen but don't remember much about. Again (in the otherwise fine review) I observe the phrase 'scenery chewing'. I still don't know what this exactly means. I've identified it myself (I would say) in only one, clearly definable instance: Edward G. in the pre-code 'Two Seconds'. His courtroom speech to the judge has every theatrical gesture ever invented. That was the only time I felt an actor's stagey histrionics were so hammy it almost marred the flick. re: 'The Gunfighter' is a flick which I've seen recounted and touched-upon, in almost any documentary on the history of the Hollywood western, and always to critical acclaim. Its always ranked as a standout. For good reason. Its rather startling though, when one muses over possible reasons why it became so renowned. Its an atypical western in the same way that 'Twelve O'Clock High' is an atypical war story. It speaks well to the audience of the 1950s that they embraced either/both. I don't know if 'Gunfighter' was drawn from a stage play as 'Twelve' was but both have that palpable stage-play redolence. Few exteriors; mostly interiors; rich emphasis on acting and dialogue; variety of incident and character in the supporting cast; backstory suggestions in the plot to heighten drama; constantly rising action in Act II extremely brief climaxes. Both are fulfilling films of the kind which seem to flow along effortlessly. Fluid, supple, storytelling and glitch-less execution; economical in every regard. The kind of film the big studios made look so easy. TobB's review is very worthwhile in reminding us of the meatiness of the plot which one is apt to forget over time. There really is a lot going on when Ringo returns to town. Its far more than just 'another punk kid trying to take him down'. (Classic trope!) Although, it might have been nice to see just one squib crease Jaeckal's vest when he goes down, I will admit that. Invisible bullet and invisible wound. Besides Peck's (thankfully) restrained scowl and jaw-clenched resentfulness here (he did a fine job) I personally admire the presence of Millard Mitchell. Always a treat. And it is Mitchell who delivers the catharsis at the end by punching-the-lights-out of the next twerp Peck must face. Millard Mitchell! Love that guy. Fans of the film may enjoy Bob Dylan's wonderful ballad 'Brownsville Girl' which gives a play-by-play of the movie right in the lyrics. You don't enjoy that kind of cross-over happening every day. Bottom line: though Holden is my favorite, and though I respect March for his acting, and though there is Bogey and Ladd and a bunch of other fine stars of the same period...is there another actor besides Peck who exemplified the kind of man Americans wanted to admire in the 1950s? With two roles like these, Peck made an indelible mark. re: 'Snows of Kilimanjaro'--from TB's sparkling review it sounds as if I have missed out. I've never heard that it was a worthy adaptation of Hemingway material. I'd always heard that it features Gregory Peck laying around sickly and delerious on a cot. Whenever I watched it myself, these allegations generally matched what I saw; and thus I never developed any loyalty towards it. Perhaps what cinched my mistaken opinion was my often hearing that Hemingway himself never admired any adaptation of any of his printed works. Not any of them, not ever. So I probably figured that 'Snows' was more evidence of the experiences that ultimately soured him on Hollywood. I'm fully willing to admit I may have been led down a primrose path in this case. I remember the excellent photography and the vivid colors; I remember the stunning slinky outfits worn by Ava; but I unfairly gave the storyline 'short-shrift'. Or maybe, the sequences I watched weren't viewed in order. This happened to me also with 'Red River'. I could never grasp anything likeable in Wayne's role so I was always mystified why the film had such renown. Perhaps there's something in 'Snows' which eluded me and which I will discover if I go back and re-watch it sometime. I'm willing. The film is hardly faithful to the original short story. In fact, most of the film is NOT in the short strory. In fact, most of the film is NOT in the short story. Either was the original Hollywood studio-era adaptation of To Have and Have Not by Hawks with Bogie \ Bacall (but this was made during WWII so it made sense to make the bad guys Nazis). Warners Bros did make another adaptation 6 years later, with John Garfield and directed by Curtiz. This version is very faithful to the short story and in many ways a much better film (but because the Hawks version was the first paring of Bogie and Bacall, that one is still very special to me). There have been other adaptations of The Snows of Kilimanjaro but I don't know how faithful they are to the short story. I realize you are discussing Hemingway but I initially was thinking Dickens. Re-watched the '38 film yet to be discussed this week. It has as much in common with Dickens as Disney's animated version of JUNGLE BOOK does with Rudyard Kipling. However I will wait a few days before commenting further... since there is so much to comment. Interesting. Can't wait to read more of your thoughts/impressions about A CHRISTMAS CAROL (1938). Maybe I exaggerated a little. It is not like they added singing vultures imitating the Fab Four or anything like that. The basic story outline is left intact. Waiting a few days will also keep me more subtle.